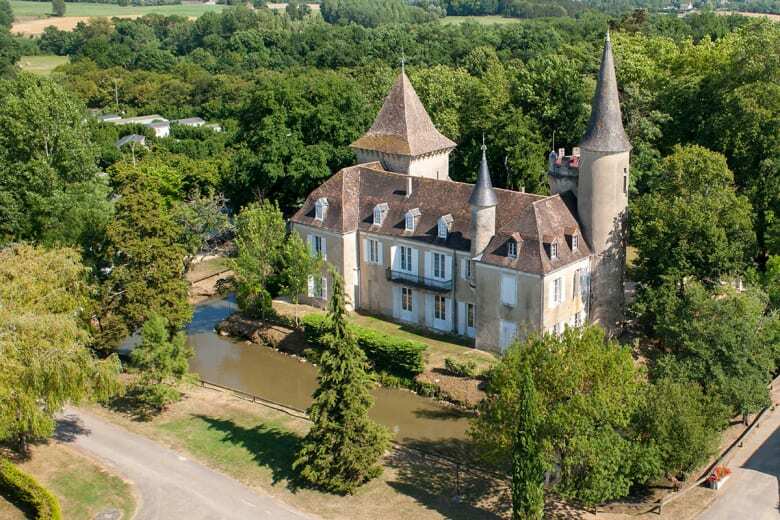 Within the Dordogne and the Lot et Garonne départements, the density of châteaux, small castles, walled towns and medieval fortresses is such that, in the end, it is not surprising that the park for one such location nowadays accommodates a campsite. Of course, for a beauty spot as lovely as the Château de Fonrives campsite to accommodate an open-air hotel, the standing of the latter must be up to the task. Moreover the least that should be able to be said of it, is that a stay on this campsite quickly becomes unforgettable. On the one hand, because its pitches and holiday rentals are nestled within a wooded and green 20-hectare campsite, amongst which in addition to a château a superb recreational lake sits imposingly, it is possible to fish! 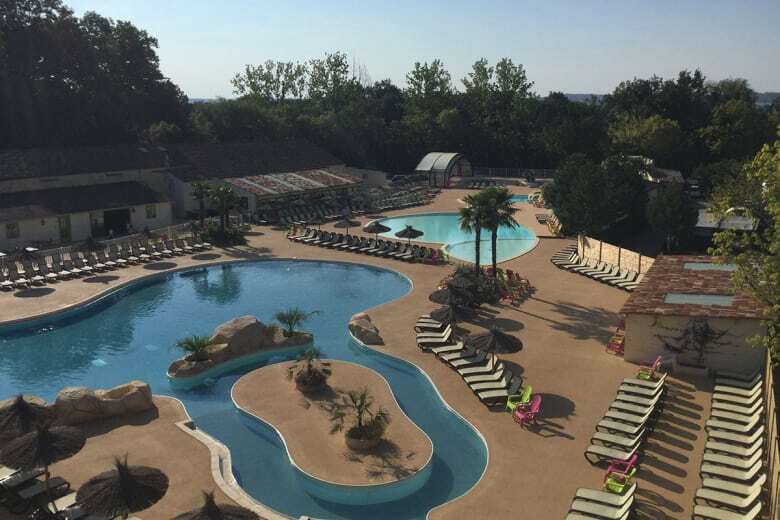 That having been said, this top-of-range Lot et Garonne campsite offers holidaymakers coming to stay the opportunity to do a multitude of activities, as much recreational as competitive, resting in a bewitching setting. In addition they can take advantage of the multitude of facilities, with which this campsite is equipped. Therefore, why not combine the time during your stay having the freedom of living in the great outdoors with living a life of luxury? This is, in a way, what the Château de Fonrives campsite can promise you. The latter has 141 pitches and 130 plots equipped with holiday rentals. Whether campers opt for shaded or non-shaded pitches as they wish, these spacious pitches are separated from one other by greenery. Moreover, nine types of rental luxury are present on this campsite. From the couple to the large family, all holidaymakers can find delight by staying within a mobile home or a chalet, the luxury and facilities of which are enjoyed by all. A luxury campsite par excellence, the Château de Fonrives has quality facilities to attract tourists. Amongst these, we mention the superb aquatic park. The latter is made up of a superb outdoor lagoon with swimming pool, paddling pool for children, as well as a landing pool for a water slide and a two-lane multi-slide. There is also an indoor heated pool equipped with a balneotherapy area made up of hydromassage beds. 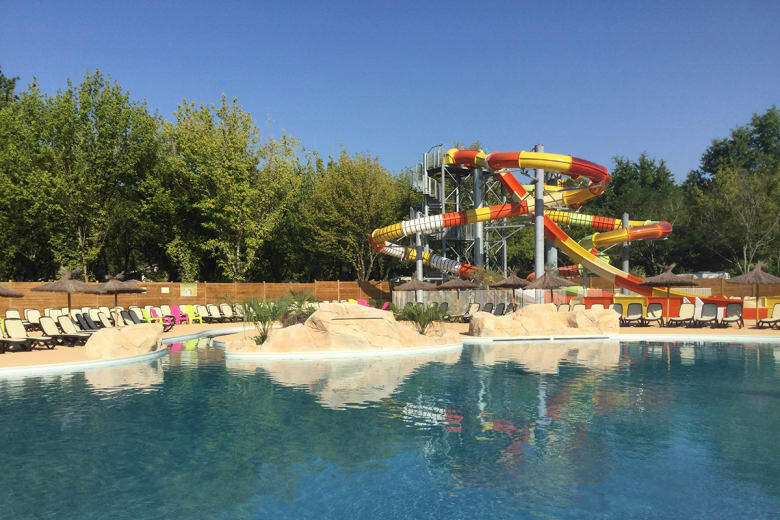 New for 2018, the aquatic park of this top-of-the-range campsite, in the Lot et Garonne, has enlarged to offer its holidaymakers even greater pleasure! 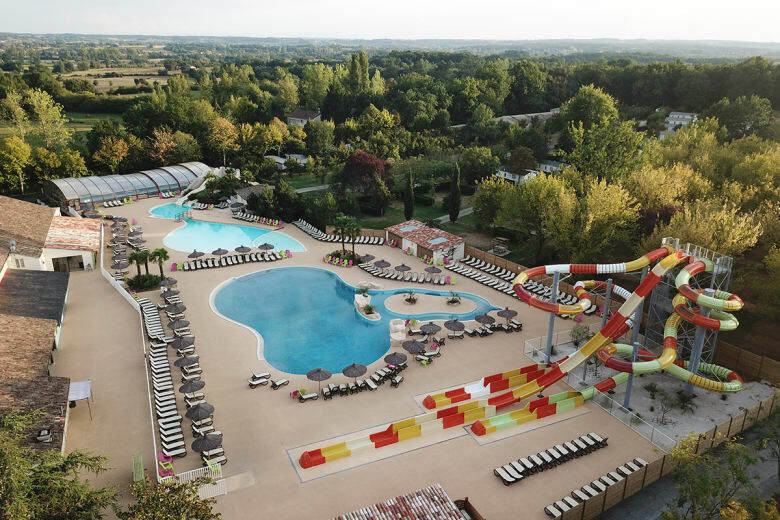 With its new 500 m² pool, a lazy river as well as 3 large water slides, no doubt this enlargement will not fail to light up the eyes of lovers of swimming and thrill seekers! From a well-being perspective, the Château de Fonrives has a relaxation area with sauna, Jacuzzis and treatment and massage cabins. Beauty massages and relaxation massages are only available in the high season. The other campsite facilities comprise a tennis court, a beach-volleyball court, archery, a weights room, ping-pong tables and a pétanque terrain. Moreover you should know that the fitness trail, laid out over 3.5 kilometres, enables you to go round the campsite!